He is not quite 2 years old, but little Diogo has the soul of a rock ‘n’ roller and a love of the Beatles that must have been with him since birth. 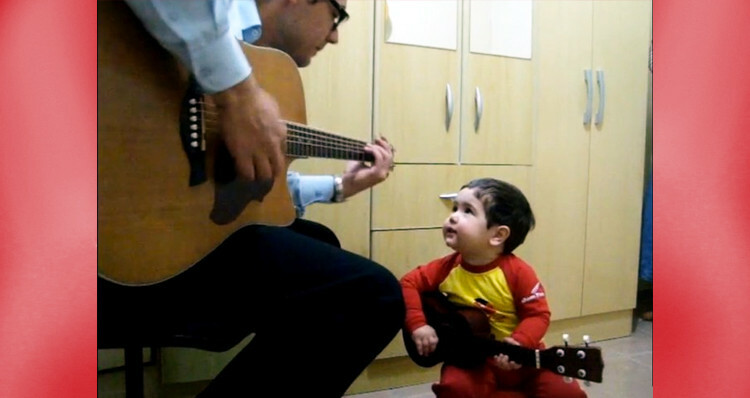 The clip of the nearly 2-years-old Diogo Mello and his father sing and play the classic ‘Don’t Let Me Down’ by The Beatles received over 300,000 views the first 3 days and during its first weekend this father-son cover saw more than one million times total on various webpages. Diogo was actually only 1-year-old and 11 months at the time, and his classic video has received over 11 million views to date. Diogo, from Brazil, plays the ukelele accompanied by his father, Christian Diego Mello, who pauses to allow Diogo to shout out the chorus enthusiastically while strumming along with his dad’s guitar playing. You can watch the adorable clip, below. And be sure to let us know your thoughts about Diogo’s future in the comments.